If you follow me on Instagram, you’ve noticed I updated my living room floors about a month ago. Since the floors have been done I haven’t gotten around to much decorating. 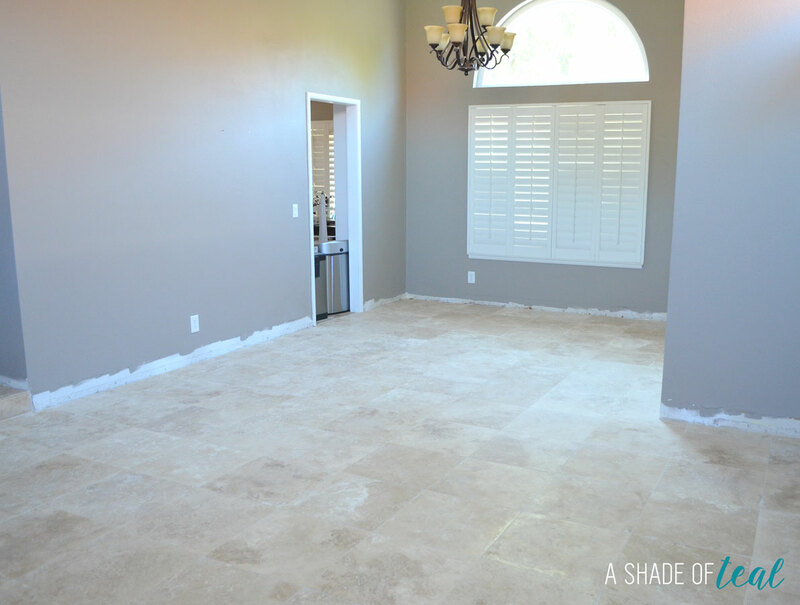 So I’m really excited to show you the start of my living room transformation! 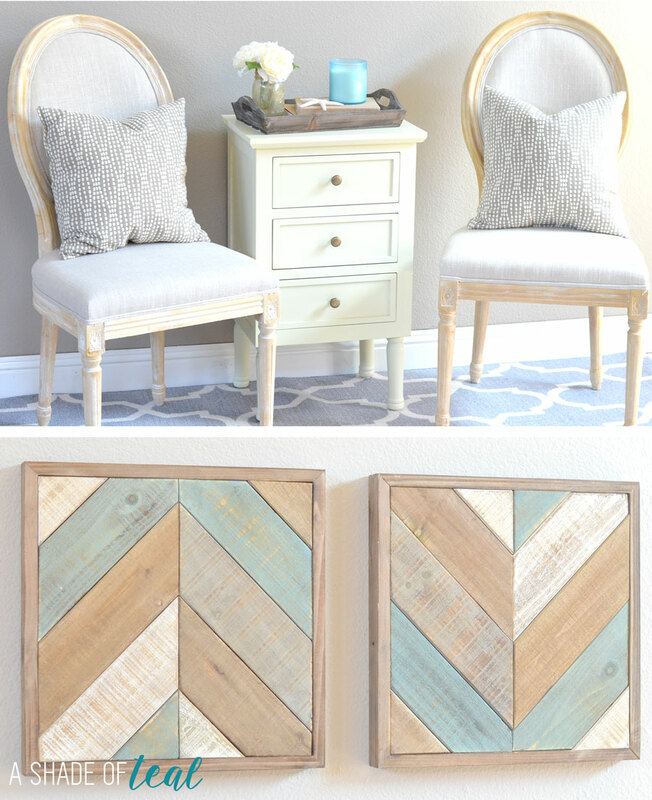 I teamed up with Big Lots to give this room a update. If you haven’t visited a Big Lots lately you need to! My biggest complaint was that my budget wasn’t big enough to buy more decor from them. 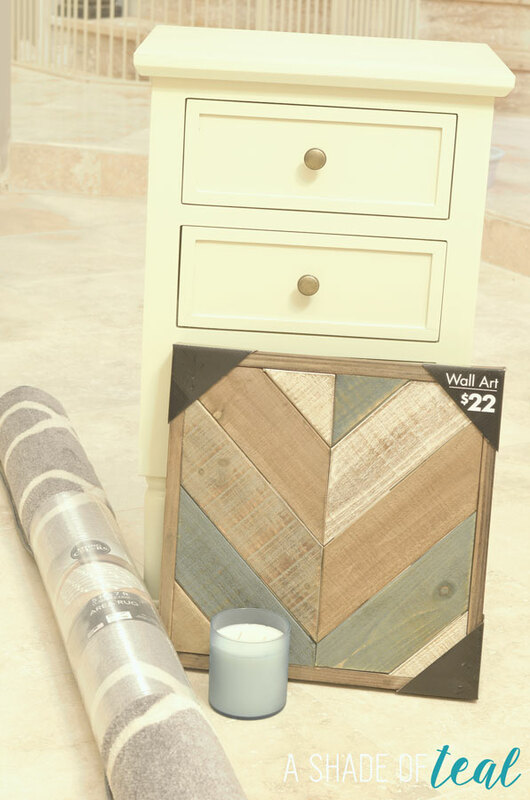 They have so many options to chose from – from bedroom furniture to accent side tables to rugs and so much more. The staff was also so friendly. I changed my mind a couple of times on the end table I wanted and the man helping me was very accommodating. Back to my living room: this was the before. A clean blank slate to work with. I still needed to add moulding in this before picture, but you get the idea! My plan was to start with a sitting area using my existing chairs. I’ll eventually add a dining table and some couches but for now bringing in some simple decor pieces was my goal. 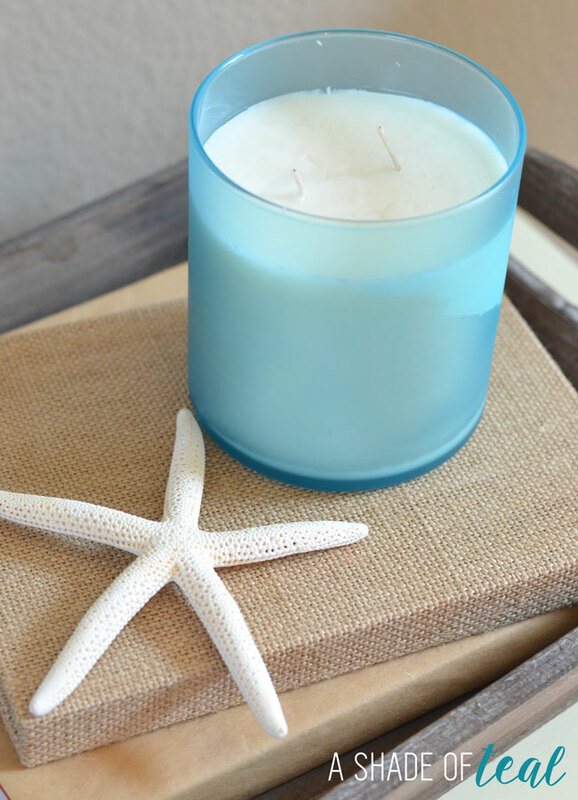 So I purchased a creme/off-white end table, a grey rug, wall art, and a aqua candle. First, I setup the new rug; which I absolutely love! The pattern and color is a perfect fit for my decor style. I wish my store had more sizes because I would have bought several more, but because styles vary by store, I might actually find other sizes at another local store. I then added my existing chairs with some grey pillows I already had. Next, I built the side table I purchased from Big Lots. It was really easy to put together, literally just had to screw on the legs and it was ready. I hung the new art I purchased and added some more decor accents; including the aqua candle I purchased and I was done! I love how the space is already starting to come together. I like to buy furniture and key pieces in neutral colors. So if you already have neutral furniture then keep it as is. But if it has a pattern or print try adding a slip cover. 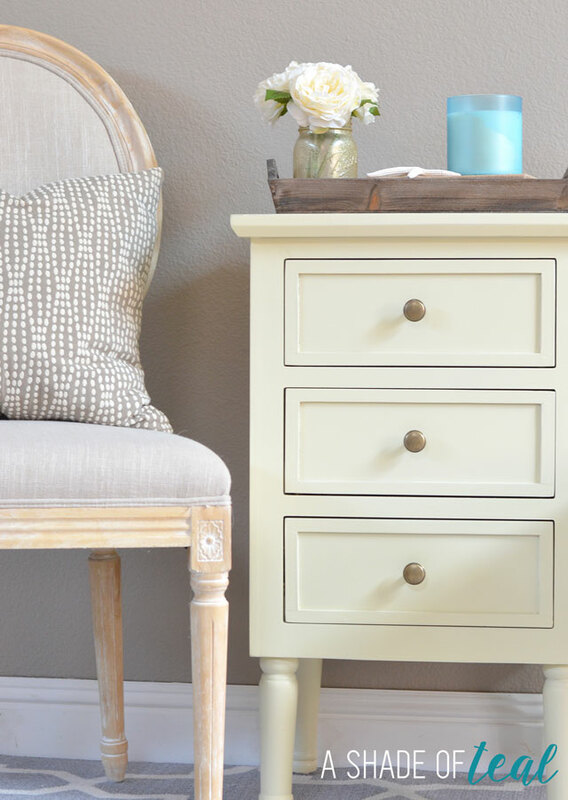 If you still don’t love your furniture try painting it. They make so many great paint products where little to no prep work is required. 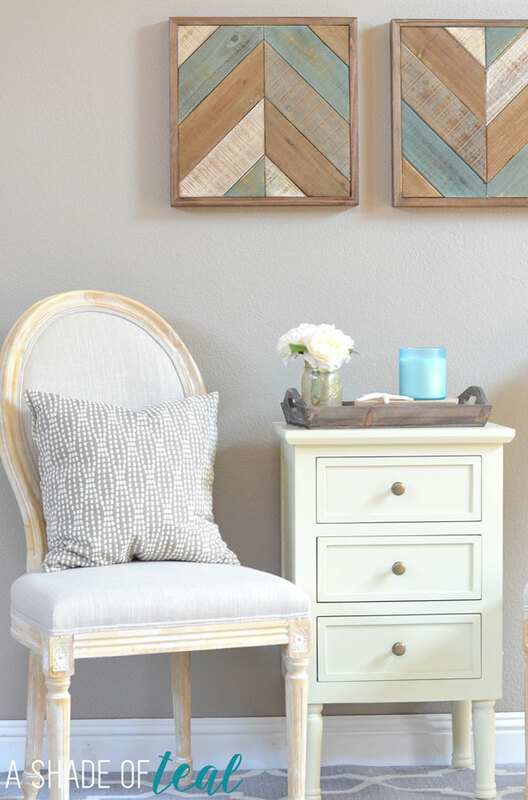 Add color and texture with pillows, accessories, and wall art. 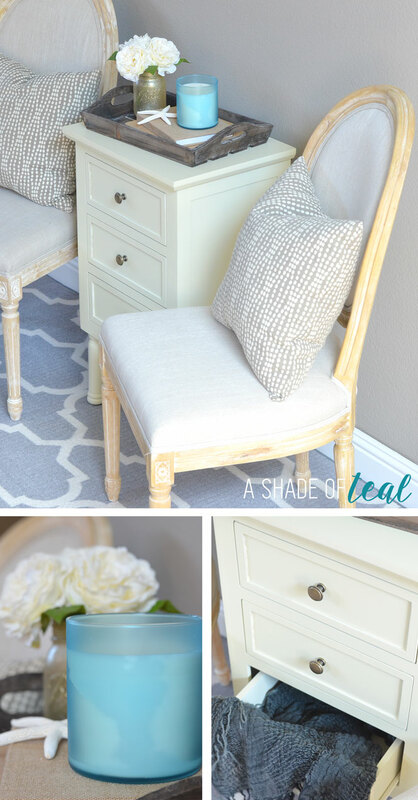 These are the perfect items to bring in color; plus if you get sick of the color, it’s really easy to swap out. 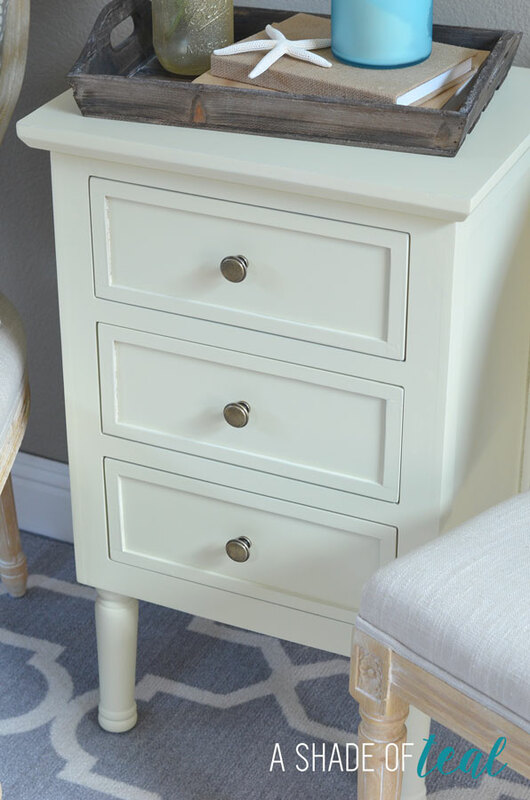 Don’t be afraid to mix and match furniture styles. 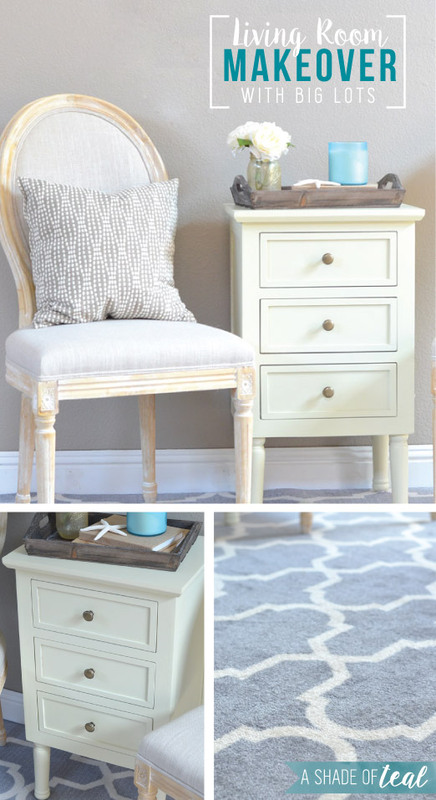 By adding new accessories you’ll still be able to make a room look cohesive. I also like to buy my accessories in sets of multiples; for example, try updating with 2 identical lamps or pillows. 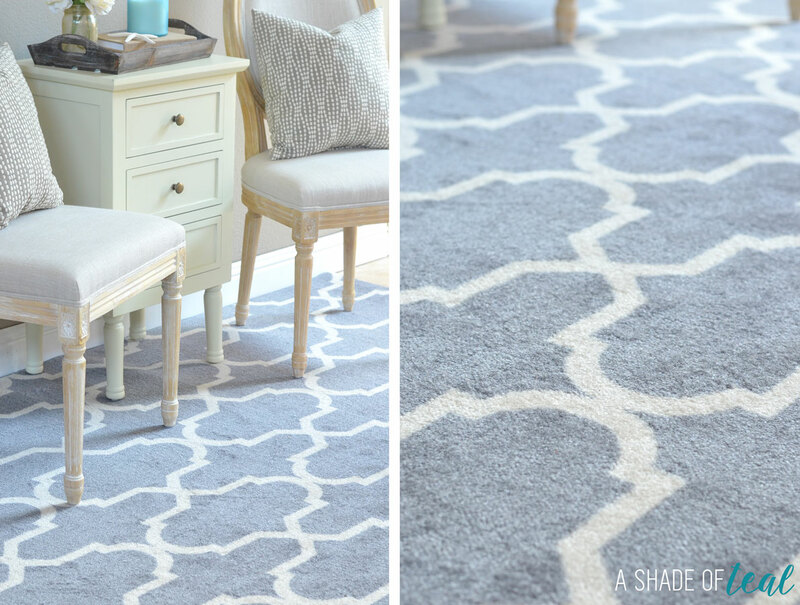 Change out your old rug with something new. Quality rugs use to be really pricey, but these days so many places offer high end rugs at great prices. One of the easiest room updates is paint. It’s amazing how a fresh coat of paint can drastically alter a room. Last, rearrange your furniture. Just moving around what you already have can make the pieces feel like new. Luckily for me, the items I purchased at Big Lots sit so well with my existing furniture. This wall art was meant for me! I actually was planning on trying to make a D.I.Y. 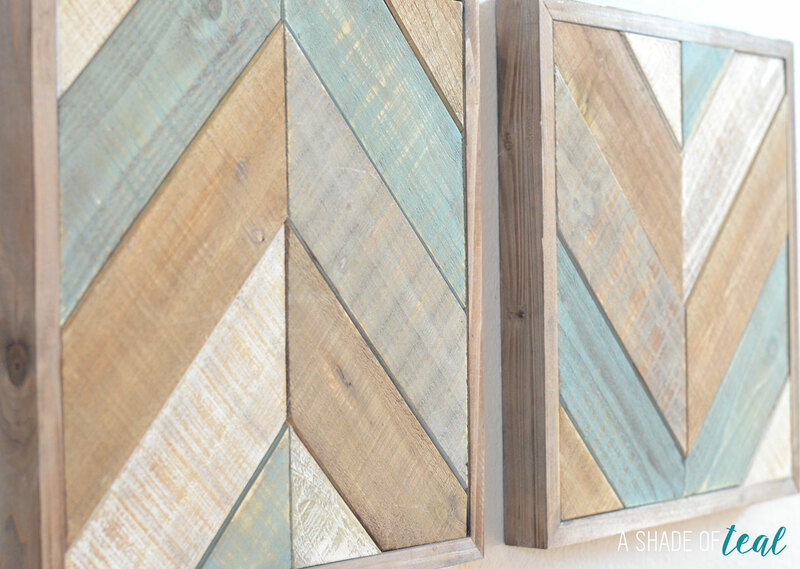 pallet art really similar to this, but now I don’t need to. The quality and price of the products found at Big Lots are great. I already have so many other items on my list to finish off this room. 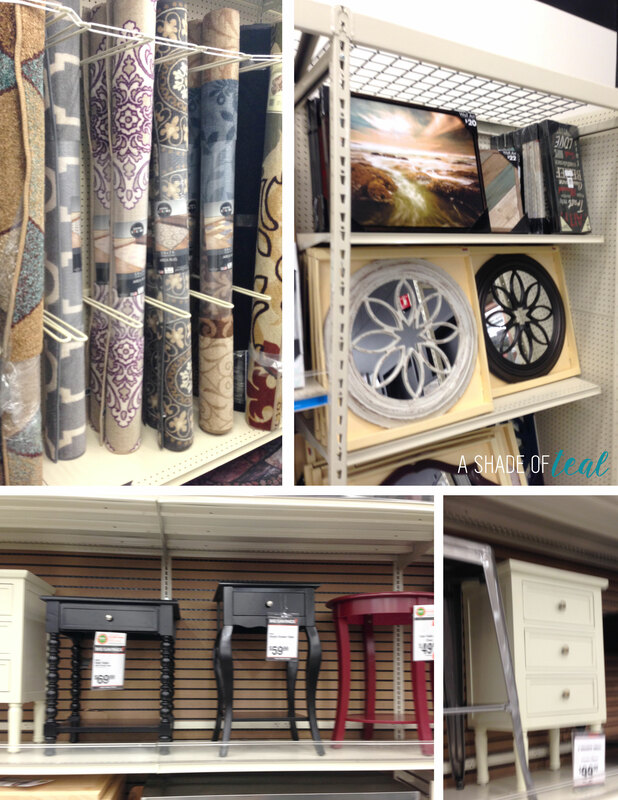 Have you visited Big Lots lately? 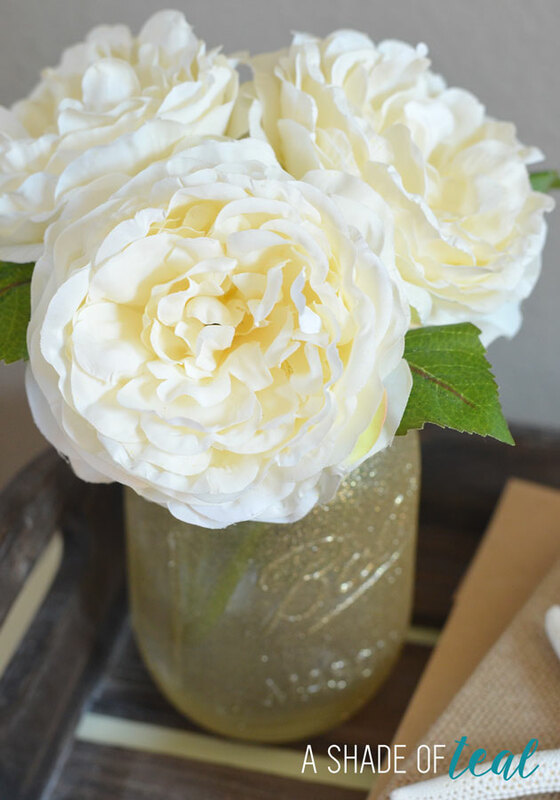 Did you love their home decor offerings as much as I did? I would love to hear what you found at your store since styles and assortment vary by store. Let me know in the comments! Make sure to follow Big Lots on Facebook, Twitter, Pinterest, & Instagram for more ideas and up to date deals. Everything looks amazing and I LOVE that rug! Great job! Thanks Lee Anne! That rug is pretty awesome! I love this! I have a very similar rug in my living room that we bought over the summer and it has made the room look entirely different! Big Lots is awesome! Thanks Logan! Big Lots is awesome!!! OMGOSH I love it! I never would have thought to go to Big Lots for home decor stuff! I definitely will now. Thanks Amanda, they really do have a great selection of home decor. Looks so inviting! Ill have to go visit the nearest big lots. Thanks Taylor! They have some amazing pieces. I love the rug and table you chose. You created such a cozy little spot. Great job! wow! i need to check out big lots! I love that rug! It looks lovely, very calm. It always feels good to complete a space. Way to go with Big Lots! I LOVE everything about this room! That rug and the artwork are my favorites. How big is the rug you have? I may have to go pick one up for our living room too! Hi Sydney, its a 5×7. You’ll love it! This looks amazing! I might have to revisit Big Lots, I never shop there. I honestly didn’t know they had stuff like this. Amazing work, thanks for sharing! Thanks April! They really do have a great selection of home decor. This is gorgeous! I love the colors and especially the price! I have the worst time picking out rugs but I love the simplicity design of the one you chose. I LOVE the rug!!! Everything pulled together beautifully!